Oh Christmas. How I love you. 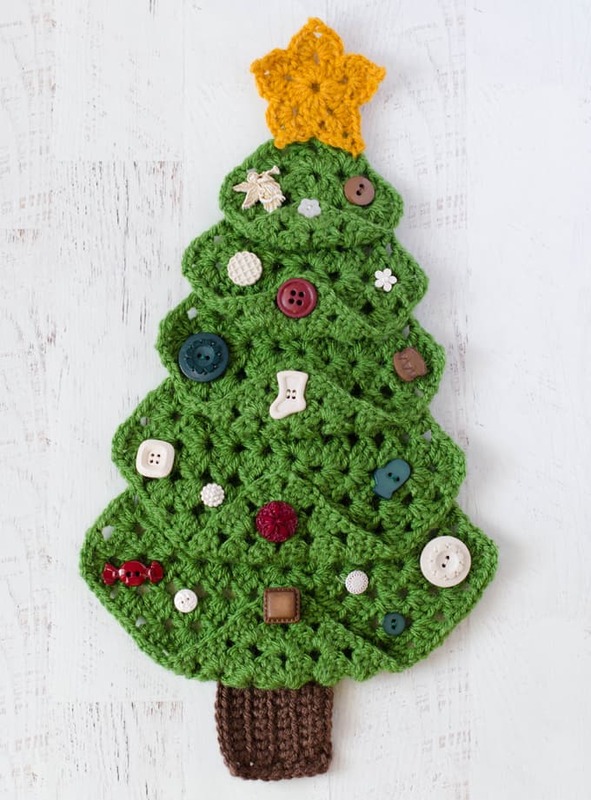 And I just love this fun Granny Square Christmas Tree decoration. 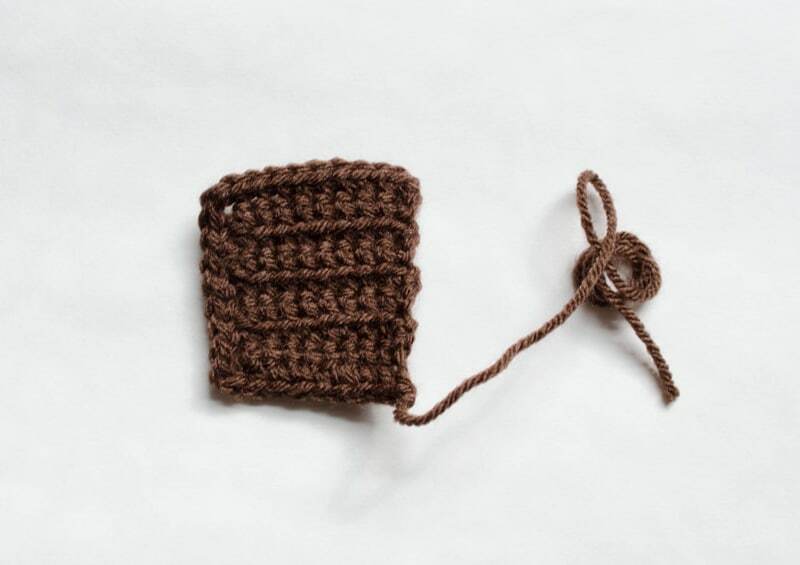 Don’t you love a quick crochet project that you can whip out in an evening? This Granny Christmas Tree is just the thing. It is a great use for all those fun holiday buttons that you want to buy, but can’t quite justify spending money on. If you’ve been with me for awhile, you know that I previously had this pattern listed for sale in my Etsy and Ravelry shops. After a lot of thought, I decided to take it out of the shops and offer it here for free on the blog. Let me tell you why. I’m not the first person to fashion granny squares into a Christmas Tree Shape and even though I did design the star and the tree trunk, I felt like the pattern didn’t quite belong with the other unique things in my shop. 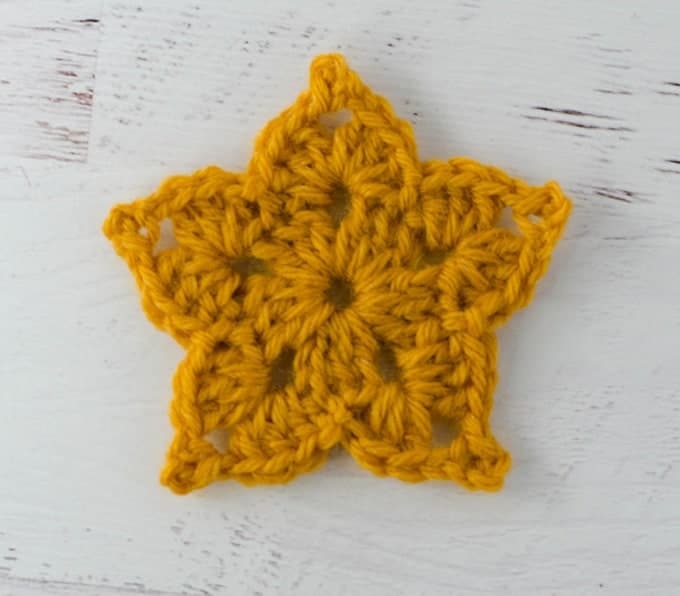 I offered the star pattern as an appliqué on the blog a few months ago. Now you get the complete tree too! Without further ado, here is the Granny Christmas Tree in its entirety for you to enjoy. Finished size: About 17″ tall. Note, your results may vary depending on your gauge and on how you sew the boughs and star together. With gold, ch 5 and join with sl st to form a ring. R1: Ch 3 (counts as 1 dc here and throughout), 2dc, ch 3, *3dc, ch 3. Repeat from * 3 times for a total of 5 dc clusters. Join with sl st to top of starting ch. R2: Sl st into the next dc, in the next ch 3 space, *3dc, ch 4, sl st in 3rd ch from hook (forms picot), ch 1, 3 dc. Skip next dc, sl st in the next dc (which is the middle dc of the next dc cluster). Repeat from * around, ending by sl st into starting sl st. Finish off and weave in ends. With green, ch 5 and join with a sl st to form a ring. R1: Ch 3 (counts as 1 dc here and throughout), 2 dc, ch 2, *3 dc, ch 2, repeat from * 2 more times. Join with sl st to start of row. R2: Sl st in next 2 dc and into next space, in corner space, ch 3, 2 dc, ch 2, 3 dc, ch 1. *In next corner, work 3 dc, ch 2, 3 dc, ch 1. Repeat from * 2 more times. Sl st to the top of starting ch 3. R3 and subsequent rows: Sl st in next 2 dc and into next space, in corner space, ch 3, 2 dc, ch 2, 3 dc, ch 1. 3 dc, ch 1 in each space until reaching next corner. In corner, work 3dc, ch 2, 3 dc. Proceed accordingly, working 3 dc, ch 1 in each non-corner space and 3dc, ch 2, 3 dc in each corner. End each row with a sl st to the top of starting ch 3. R8: Ch 1, turn, sc in back loops only across to last sc. In last sc work 3 sc, rotate work and sc across bottom of tree trunk, at next corner work 3 sc, sc across side of trunk. Finish off, leaving an end for sewing trunk on to tree. Turn one corner up to the center of each square and sew down. Layer squares using photo for reference and sew into place. Sew star on top of tree. Crochet loop for hanging (see below). Sew trunk to bottom of tree. Randomly sew buttons for ornaments. 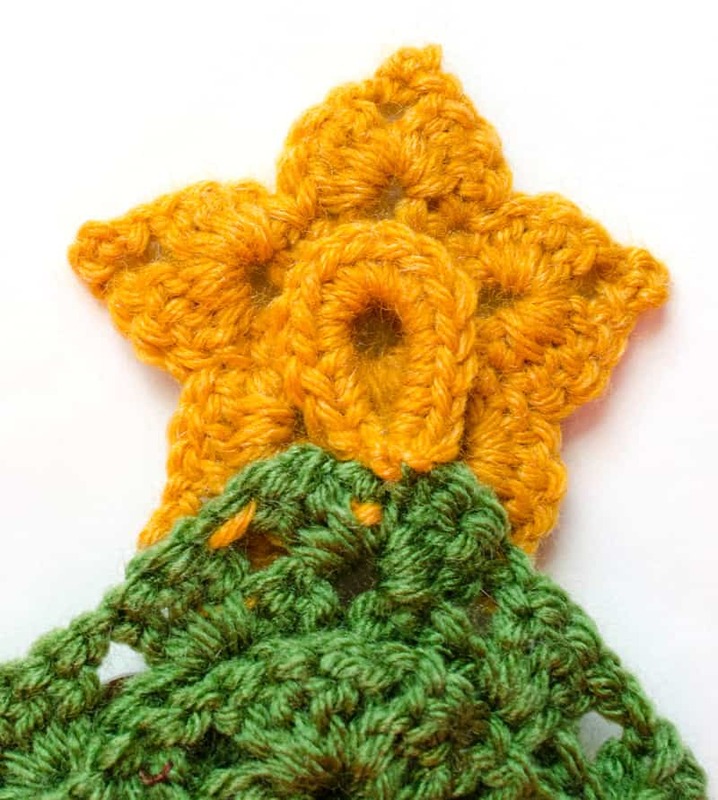 Attach gold with slip stitch to top corner of tree behind the star. Ch 10, sl st to beginning. Keeping right side facing, sc 15 in loop and attach to 1st sc. Fasten off and use ends to firmly secure. And there you go! A Granny Christmas Tree to brighten up your holidays! Thank You, Cheryl, for sharing your creativity and inspiration! 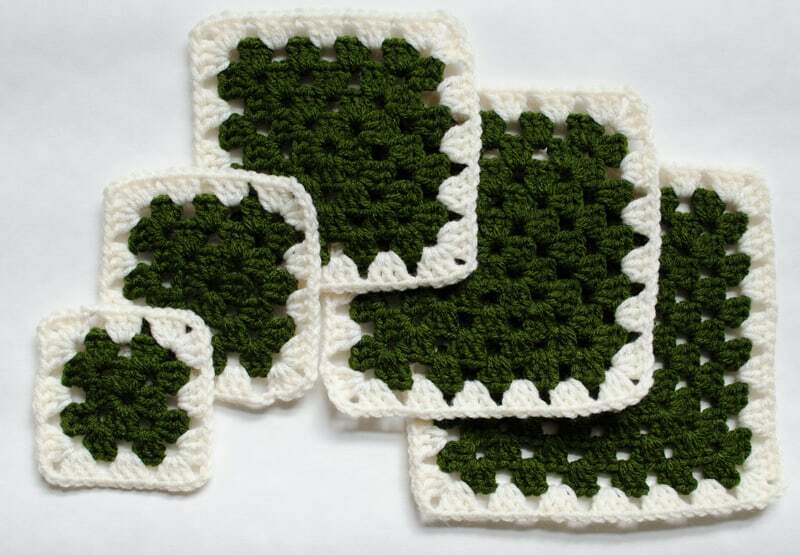 Kind Regards and Happy Crocheting! Aww. Thank you for your kind words! You made my day! Thank you Cheryl for sharing, this is exactly what I’ve been looking for. Easy to carry in my luggage for Christmas. Easy to make. Thank you so much…. Thank you Cheryl, for your wonderful patterns. I am very excited to finally have the granny square Christmas tree. I am making this Granny Christmas Tree to hang in my husband’s aunt’s room at the nursing home. She hasn’t room for a regular Christmas Tree, so I will decorate this one for her. Thank you for the pattern. I even already had the Christmas pack buttons from Hobby Lobby. That’s just awesome! And don’t you love that you get to use the buttons you already purchased?! Thank you for sharing this pattern. It was so easy to make one that I am making another one!